Image of this new comet taken by observer: Franz-Josef (Josch) Hambsch with (G39) remote Observatory Atacama Dessert in Chile (ROAD), data and processing by Erik Bryssinck. (observations tabulated below) This comet was dicovered by Terry Lovejoy and was annouced as comet C/2014 Q2 in CBET nr. 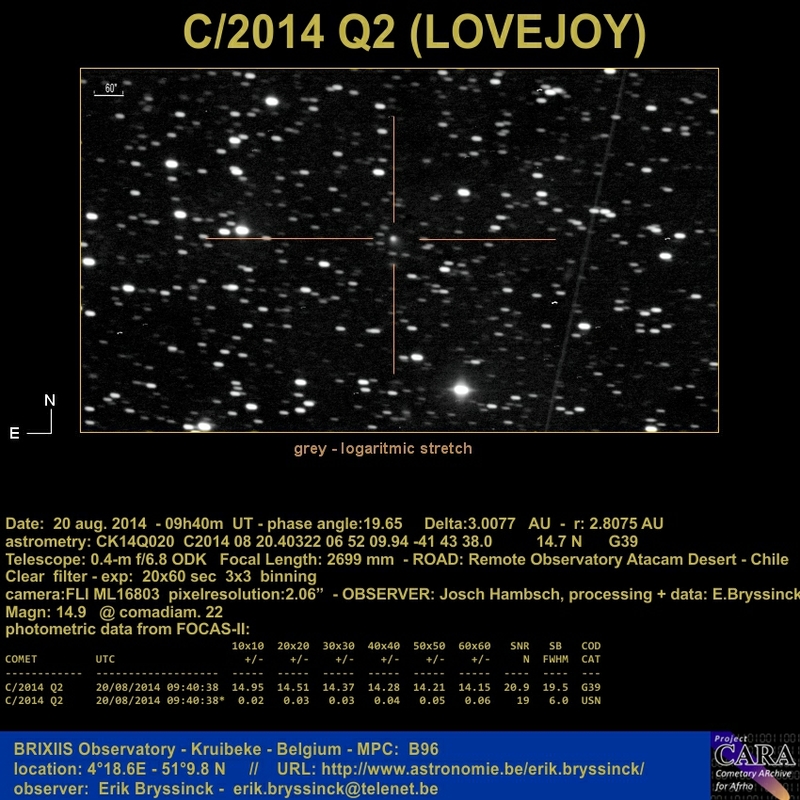 :3934, Issued on 19 aug. 2014: COMET C/2014 Q2 (LOVEJOY) T. Lovejoy, Birkdale, Qld., Australia, reports his discovery of a comet on CCD images obtained with a 20-cm f/2.1 Schmidt-Cassegrain telescope ; he described the object as small and well condensed with diameter 15" and a short, faint tail 1' long in p.a. 225 degrees in a crowded star field.